This amazing testimonial illustrates how patients like JP are looking for answers. 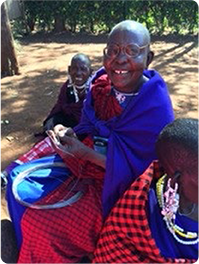 They are passionate about improving their vision. They are looking for professional fitters who empathize with their situation and have the solutions and the skills to make a difference. If you have yet to try the Custom Stable lens option for your patients, it’s easy to get started today. 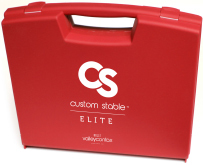 Visit valleycontax.com and access our short 17-minute Custom Stable training video, take a short quiz and then order your diagnostic set with a special introductory offer. We also offer hands-on training every quarter through our one-day Custom Stable Friday workshops. Visit our website for dates and more information. When you’re in need of Custom Stable fitting support, our knowledgeable consultants are always available. These contact lens experts love what they do and can be as involved as you want in helping with your fits. You can contact our team of consultants Monday through Friday 6:30 AM to 5:15 PM PST via phone, email or chat on our website. When you’re fitting the Custom Stable another great asset is customstablelens.com. This website is an informational website targeted toward patients and includes a practice locator where users can enter their zip code to find practitioners near them. As a Custom Stable practitioner you’ll appreciate being listed on this website.